We'll be open 4 days this week! 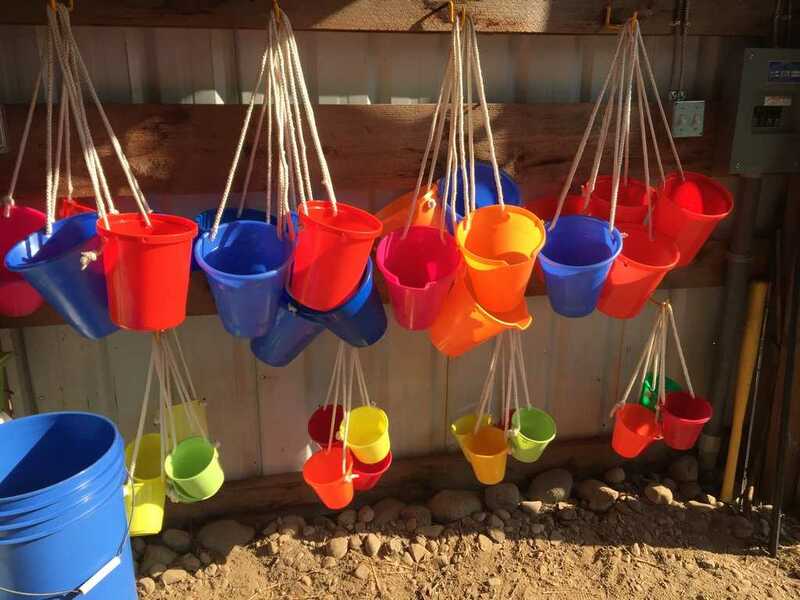 Our buckets are ready and waiting. We are expecting more varieties available for picking, especially with the hot weather predicted for this week. Sunday was spent working at the farm; for example, I mowed the front field. I did have to restrain myself from picking ripe berries as I mowed (see earlier post about distracted driving).